With the temperatures heating up outside, we thought we’d cool down with a look back at one of our November weddings featuring Megan & Chris. 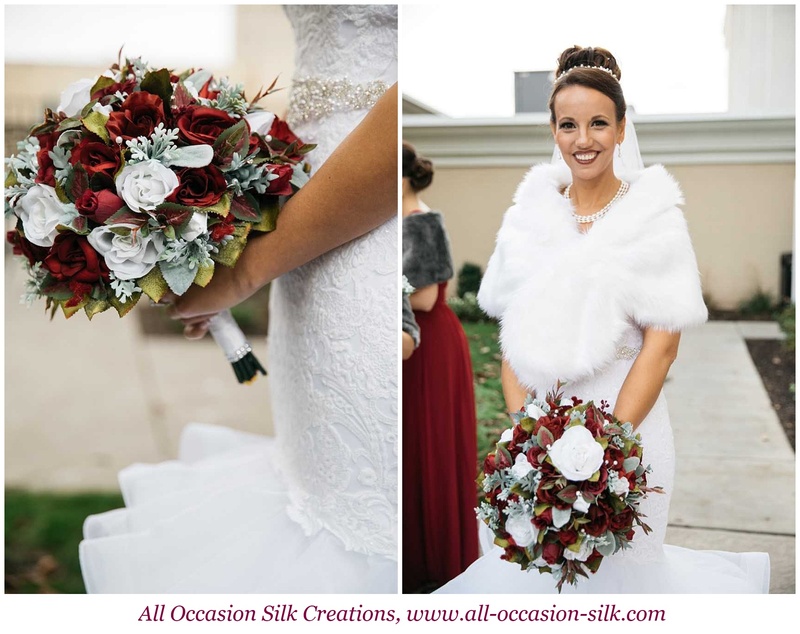 Their November 4 wedding at Bethel Park’s Cool Springs Sports Complex was the perfect combination of tradition and romance. 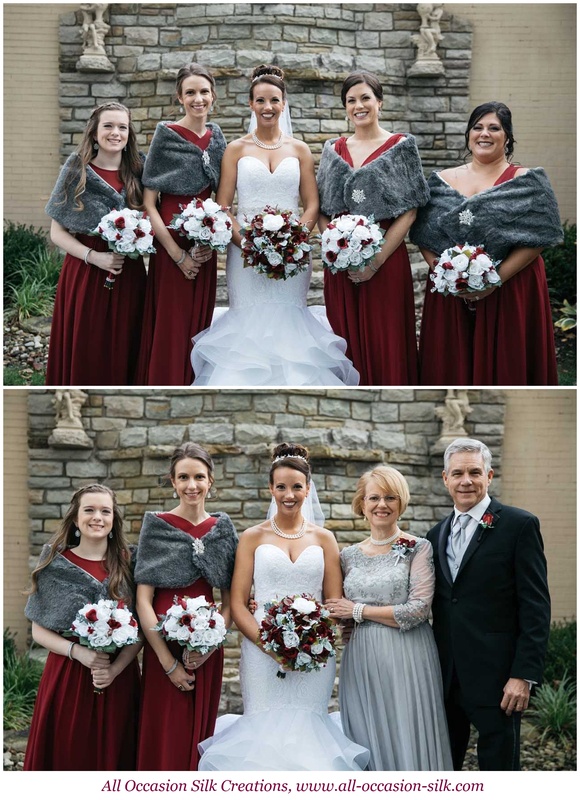 Megan chose a classic pairing of Real Touch white and deep red silk roses, which matched the beautiful burgundy bridesmaid dresses and complimented her color palette of silver and burgundy. Subtle sprigs of sparkle throughout added a hint of glamour. The mothers wore elegant burgundy rose pin corsages that matched the fathers’ burgundy single silk rose boutonnieres. 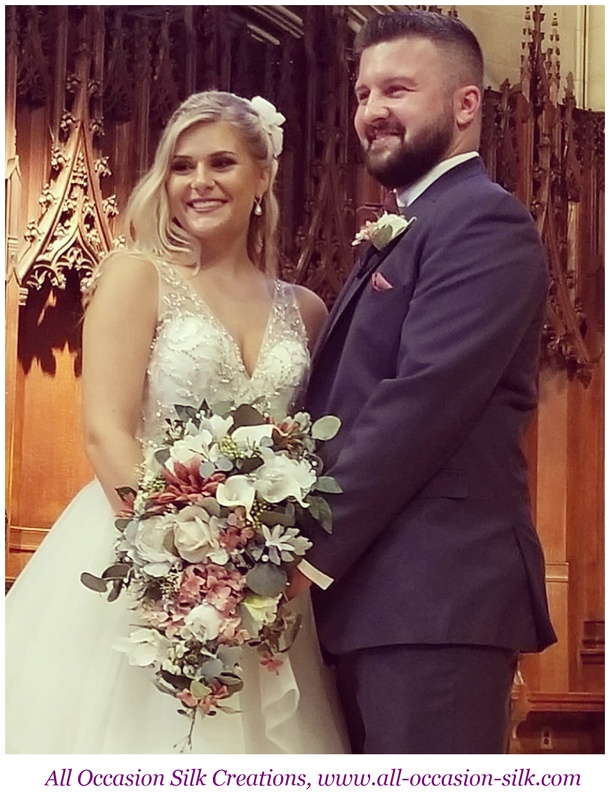 Megan looked absolutely stunning as she walked down the aisle at Hamilton Presbyterian Church carrying her round silk rose bouquet. We think you’d be hard-pressed to find a more lovely bride! Chris’s boutonniere pulled a single burgundy silk rose from Megan’s flowers for a masculine touch. A dash of white baby’s breath helped it stand out against his dark tux. Congratulations again, Megan & Chris! We loved working with you to create your classic rose bouquets and table centerpieces. Best wishes for a lasting love! 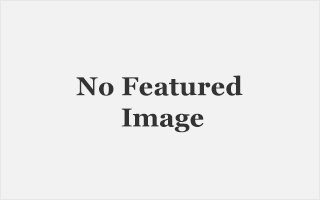 All images provided by the couple. 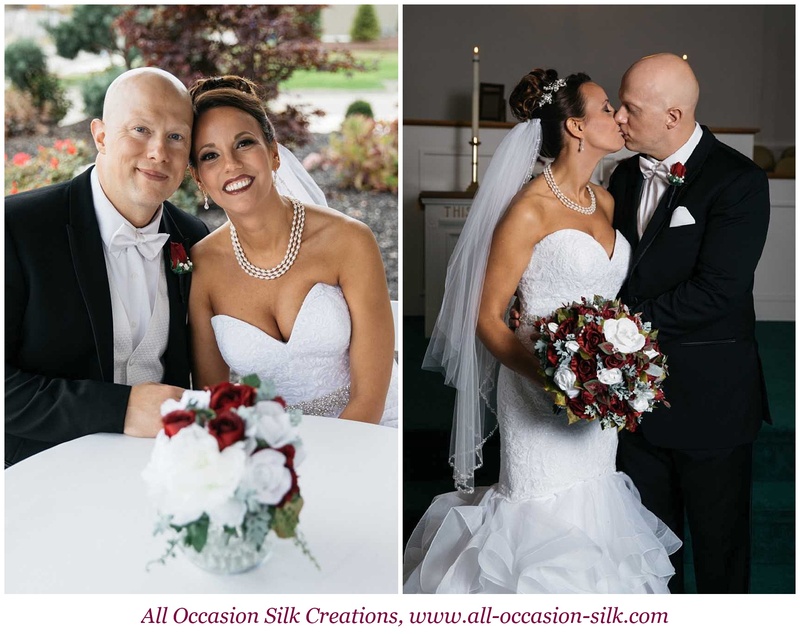 Are you ready to walk down the aisle with All Occasion Silk Creations? Click here to submit your pre-consultation form or give us a call at (724) 695-2259.